Dan Ishaki was born and educated in Israel. In his military service to Israel, he worked on military technology and security. In the 1980’s, Ishaki moved with his family to the United States, where he co-owned a company that produced and marketed a clothing line brand for both men and women. The company, Sergio Valente, was popular in the United States and worldwide with sales reaching 282 million. 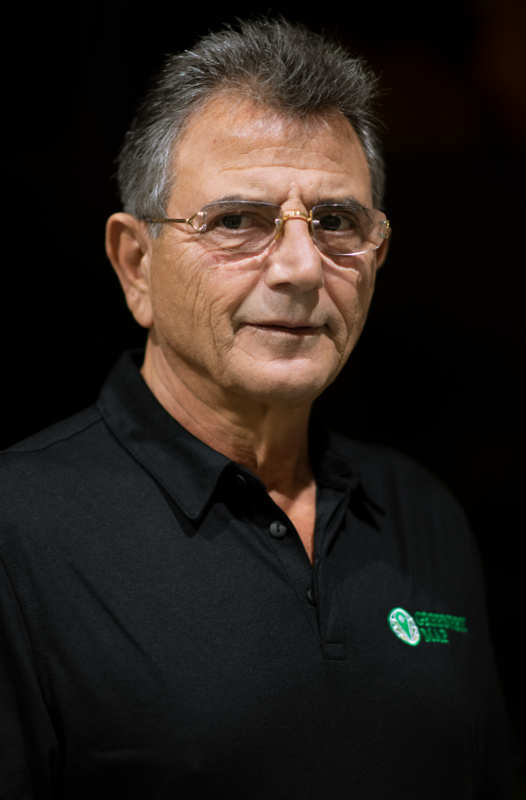 Dan returned to Israel after selling that company in 1984, where he focused on construction, building both commercial and residential from 1985 until 1997. In 1997, Ishaki returned to the United States where he was founder of a technology company called the Psychologist Network (“PN”) that boasted more than 500 Ph.D. psychologists and an Advisory Board that included the past three presidents of the Psychology Association of the United States and a professor of Psychology at the University of Boca Raton in South Florida. Dan was integral in all of the company’s technological development, receiving a patent in 1999 by connecting a phone with websites by clicking a button on the website. When users clicked the button, it would connect them with a psychologist in the network. The Dot Com Crash of the early 2000’s changed the landscape for PN to thrive. The ever adaptive Ishaki to return to Real Estate development, this time in Miami, Florida. During his time as a South Florida Real Estate Developer, Dan also started a company that focused on Cloud Security in New York City. It grew to become one of the leading installers of security systems. Dan has experience building successful technology companies both in the military and in his civilian life. Most importantly, he knows how to choose the right people and teams that will bring the right knowledge to Greenery Map. I’ve smoked Cannabis for a number of years, and once it started becoming more legal, I wanted to look into the different types of strains being offered. I did research on Leafly and Weedmaps but the information being offered was daunting. There are thousands of strains out there, and it was like going to a library filled with books to find the type of Cannabis that I needed. There were different types of highs. If you’re smoking in the daytime, for example, you want to be more focused and have energy, maybe you want to be creative or talkative. If you’re smoking at night, you might want something to help you relax or sleep. While you may find something that fits, it might also come with negative side effects that you want to avoid. If you’re really averse to feeling anxious or paranoid, you might have to keep looking for something else. I decided it was so complicated and difficult to figure out this new, but enormous industry, that I wanted to figure out a way to simplify it for people to understand it and to become knowledgeable about Cannabis. I wanted to create a way for people to find what they want based on their mood and if they want to add it, their medicinal needs as well. These days we have dispensaries, but the salespeople don’t always know what the customer wants or needs. I’ve seen it happen in Las Vegas at a dispensary where I saw a person asking for a strain to help him medically with a certain condition, and the salesperson did not know what to suggest to him. I wanted to help that person too, so I decided to add the medical benefits aspect on Greenery Map. 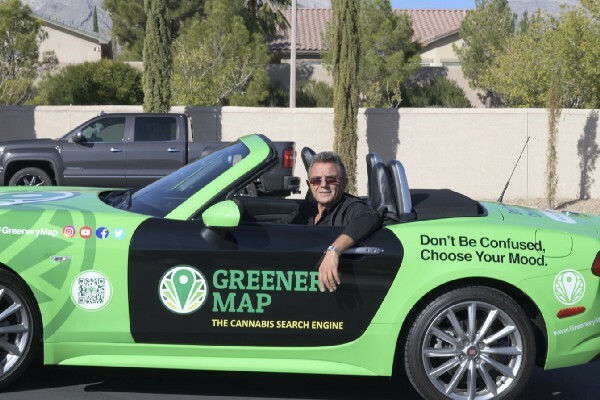 There was so much work and learning about the Cannabis market to get to the launch of Greenery Map. I was working day and night, but it was such an exciting experience for me. The entire time, no one knew about what I was doing. Only my wife and the developers — not even my children had an idea of what I was working on- they only knew I was in technology for 20 years, they didn’t know I had been working on this project in particular. 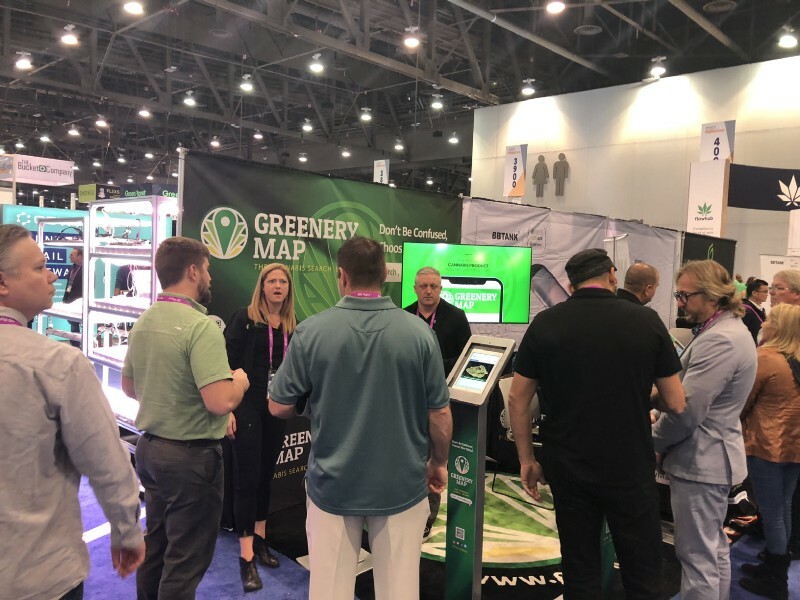 We had just launched Greenery Map’s app and GreeneryMap.com in the days before MJBizCon- an enormous marijuana trade show in Vegas with over 4,000 booths and hundreds of thousands of people in attendance. It lasted over the course of three days. We had a booth where we set up iPads and tablets and showed people the app and told them what we are doing. I had been working on this project for two years! This was our big reveal. My son, Joey, was speaking to a man from a laboratory and walking him through the app. The man was so excited, he actually told us he would tell the doctors he works with to use the app for their patients. My son introduced the man to me, he shook my hand and thanked me. He even asked to take a selfie with me- wow. It was incredible, after all of the late nights working, to finally get to our launch date and see people that were excited about it. It was beyond my wildest dreams. We are working on making a business-to-business marketplace on GreeneryMap.com, the website version of our app. The site will still have the consumer-facing side, like on our app, where we give people strain suggestions based on their mood and medicinal needs and the dispensaries that carry it in a 40-mile radius. But, we are also building out a place where Cannabis businesses will be able to do business together and collaborate. For example, it is hard to search for equipment and seeds. It is another piece of the market that needs simplifying. This way everyone can be on one site where they can work together and get what they need for their business in an easy-to-use space, which will be through our website marketplace. In this company, we call each other a team because you cannot do great things alone. I am particularly thankful to my development team. The development end is so important in the CannaTech space from functionality to design. This is crucial for a successful app. You have your WeedMaps and Leafly who give you all the info on the different strains that you have to look through. We reverse engineered that process where you tell us what you’re in the mood for and what medicinal benefits will help you and we search the database with thousands of strains. We created the design so it’s easy for anyone from a 20-year-old to someone in their 80s to be able to use the app. As I was working on this project, someone else came to mind that I knew I wanted to have on board. I worked with Jessie Gibson previously when he worked on my digital marketing for my security business in New York. He does SEO optimization, UX/ UI design, content, landing page optimization, and growth marketing. He had moved to Denver, where Cannabis had been legal for years, and I knew he was very sharp, so I called him and told him what I had been up to and asked if he wanted to be on the board to help with the managers and the developers. Jessie said he thought it was a great concept, and came to work with us over the past six months. This industry is young dynamic and creative. Do you use any clever and innovative marketing strategies that you think large legacy companies should consider adopting? These days, social media is everything. When I was starting out we didn’t have social media, now things go viral, so growth happens so much quicker than it used to. It is a particularly exciting time where social media growth translates to your potential business growth, particularly when you are working on promoting an age-restricted item like Cannabis or other Cannabis related ventures in which there are certain restrictions for advertising. 1. The way it’s going in the next five years, I believe it’s going to be legal in almost every state. There was research done in England where they gave a group of people from 25–40 years old beer or Cannabis every day. They found the Cannabis group to be so happy and friendly and creative whereas the alcohol group was angry- fighting and yelling. This is a great time as people start to understand more. I can see the future clearly with this industry. I mean look, Cannabis is even in the Bible as a medicine. This is something that has been around for thousands of years. And now that it’s becoming widely legal it is just going to become more apparent how many different benefits come with its legalization and use. 2. Before it started becoming legal, it was very difficult to do research on the benefits that are housed in the different terpenes specifically. We now have CBD everywhere, THC recreationally legal in 10 states and D.C. and we have medicinal in almost every state. This gives laboratories the power to begin to really look at how to harness its medicinal properties in ways we have never seen before. 3. People can take something for a headache now that isn’t a chemical. The Cannabis plant is better for you than taking something that is filled with chemicals. Cannabis can be great for insomnia for example. Instead of taking a sedative you can actually take something that is natural to help you. Getting something approved by the FDA is very difficult and expensive, and big pharma is a massive industry that is backed by politicians. People are starting to learn that having Cannabis as an option for treatment is important to them. We will see more and more people voting against politicians trying to protect big pharma by voting against those who aren’t backing Cannabis legalization. I honestly don’t have anything to worry about when I look at the Cannabis industry. I only see great things happening, now, and in its future. Can you share your top “3 Things You Need To Know In Order To Run a Successful Cannabis Tech Company”? Please share a story or example for each. ● In CannaTech you need to be simple. You can build a database with functionality and a great design, but you need to be sure it is as user-friendly as possible. ● You need to understand you are dealing with varied levels of experience and knowledge in Cannabis, so you want to be able to cater to everyone and every age range. ● Give a great service, and understand other people’s needs. Don’t think because something is right for you it will be right for other people. Let your employees feel like they are really an integral part of the company because they truly are. You want to share with them what you are feeling about the industry and your own overall vision for the company. It is also extremely important to share your own excitement when the company hits milestones. I’ve also found it is helpful for employees to know what they are good at and let them work within their area of expertise. Let them tell you what they are good at and what they are not as adept in- that way you can offer them a position that truly lets them grow and shine. I have a method where I give my employees an aptitude test where I ask them to rate their skills on a 1 to 10 scale with 10 being the best and 1 being the least. That way I can decide what department is right for them. You never know what your idea can trigger. 🙂 For growers and geneticist, to provide the best Cannabis research on the strains they’ve created so that that information can be passed on to dispensaries and then onto the consumers. There needs to be a classification system to make it easy for people to have the knowledge necessary to make the right choices so people can always know what they are smoking or ingesting. We provide that tool. But before, it was a black market where people had no idea what they were smoking. It needs to be even more streamlined in collaboration with the entire Cannabis food chain. Instagram and Twitter: @greenerymap Facebook at Greenery Map.